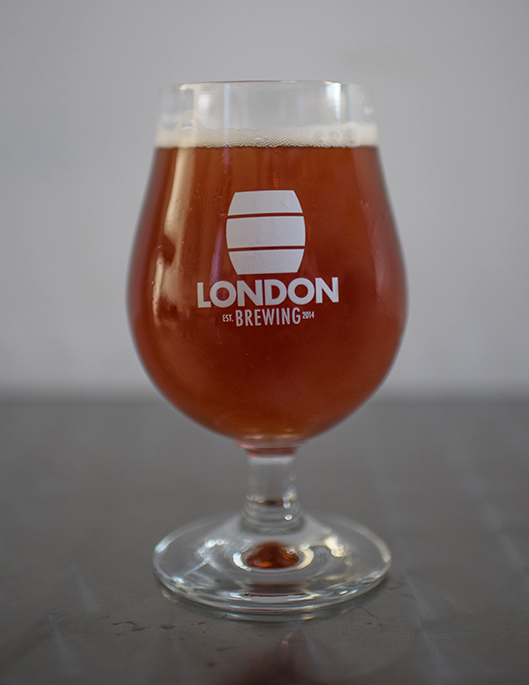 This is a malt-forward and sessionable amber ale that delivers a refreshing taste of Ontario. It has some of the qualities of an English Pale Ale with a focus on the aromas of the hops rather than their bittering qualities. The amber colouring is derived from the Organic Newdale Barley which is grown and malted in Guelph, Ontario. The name of the beer harkens to a few things that are representative of our brewery – a worker’s collective and a focus on local ingredients. All the ingredients in this bottle are sourced from within 117 KMs of our brewery. All ingredients in this beer are traceable to a farmer. All ingredients in this beer are organic or transitional organic. A balanced malty amber with hop flavours throughout. This locally-sourced brew is a staple of London Brewing!